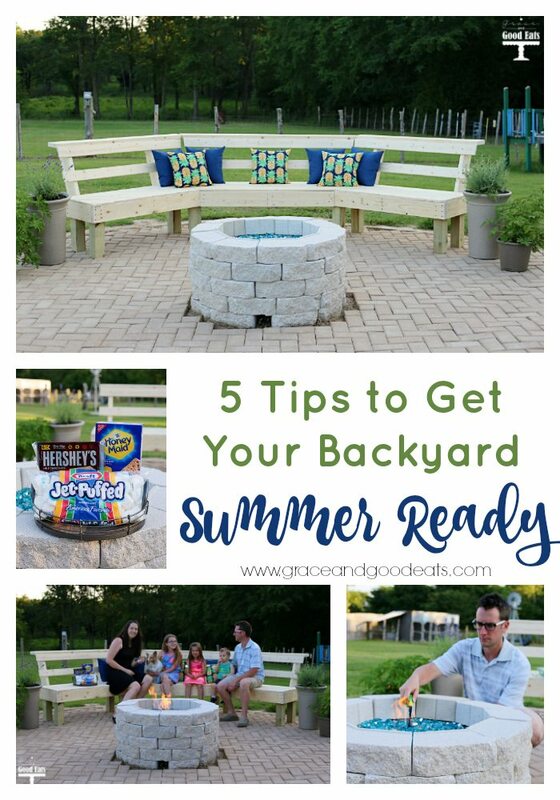 Easy tips on how to get your backyard ready for summer. 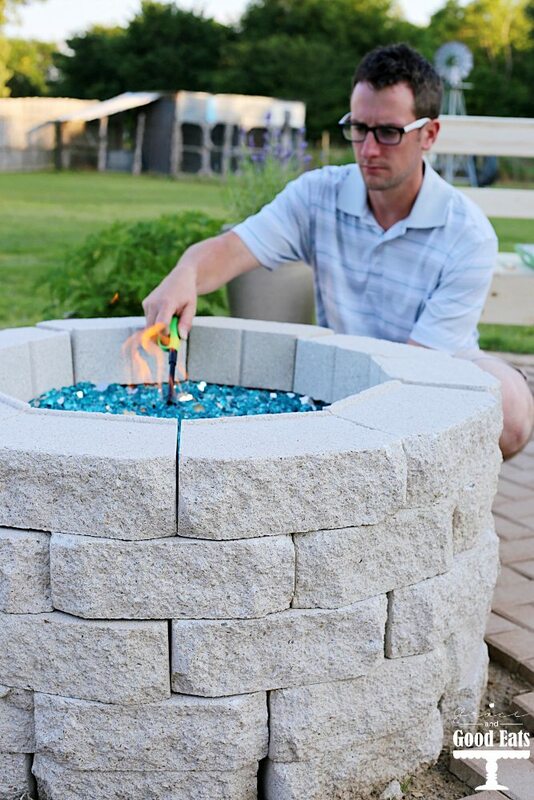 Get your backyard ready for hosting family and friends at BBQs and other summer celebrations. This is a sponsored post written by me on behalf of HONEY MAID Grahams, HERSHEY’S Milk Chocolate and JET-PUFFED Marshmallows. I’ve always had a love/hate relationship for summer, but for the first time in a long time, I am looking forward to it! I enjoy the lax schedule and don’t miss the morning rush before school but I certainly crave the structure that the school year provides. 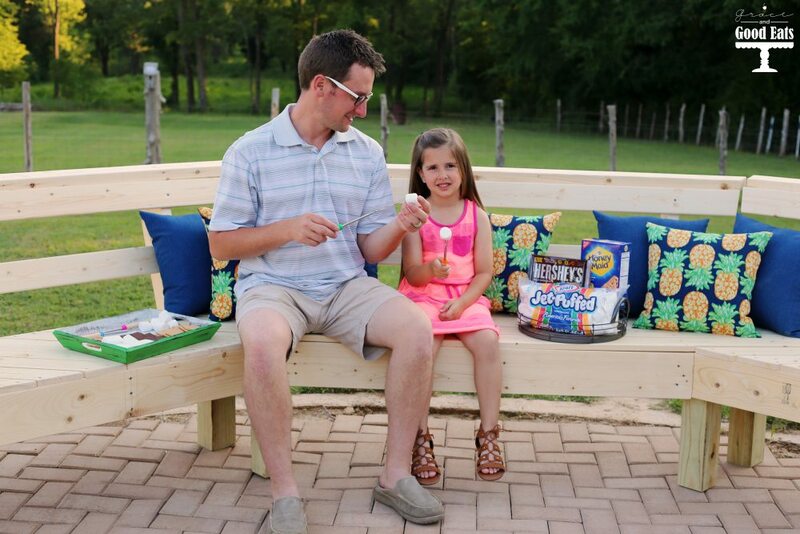 In an effort to get the kids excited about spending more time outside and set us up for summertime success, James and I have been working to spruce up the backyard. Our greatest achievement so far has definitely been the DIY fire pit that James just finished building. I can’t even tell you how much we have enjoyed it! The kids beg us to make S’mores (aka the “Official Dessert of the BBQ”) every night, while James and I like to sneak out there after they’ve all gone to bed and gaze at the stars. I can’t wait to host our family and friends for backyard BBQs this summer. 2. Create plenty of seating. I found an image online of this semi-circle bench and James was able to recreate it for me. No instruction plans, no exact measurements, he just purchased some wood and got started. (We plan to paint it white this week!) I’m pretty lucky to have a handy hubby, but if you would rather purchase something already built be sure to shop the end of season sales coming up! 3. Grow plants that repel bugs. We planted lavender and citronella plants (both perennials) in pots around the patio. When I purchased the citronella the garden employee said that I could take cuttings of the citronella to propagate more; he claimed he has a backyard full and hasn’t bought any in years. (I am pretty new to this whole gardening gig, but we’ll see how it goes!) 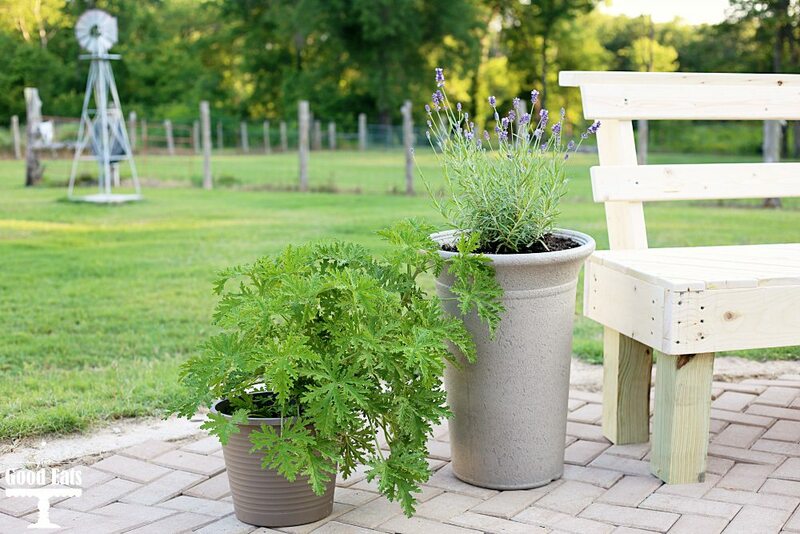 You could also plant rosemary, lemon balm, or basil to help keep mosquitos away. 4. Define your goals for the space. 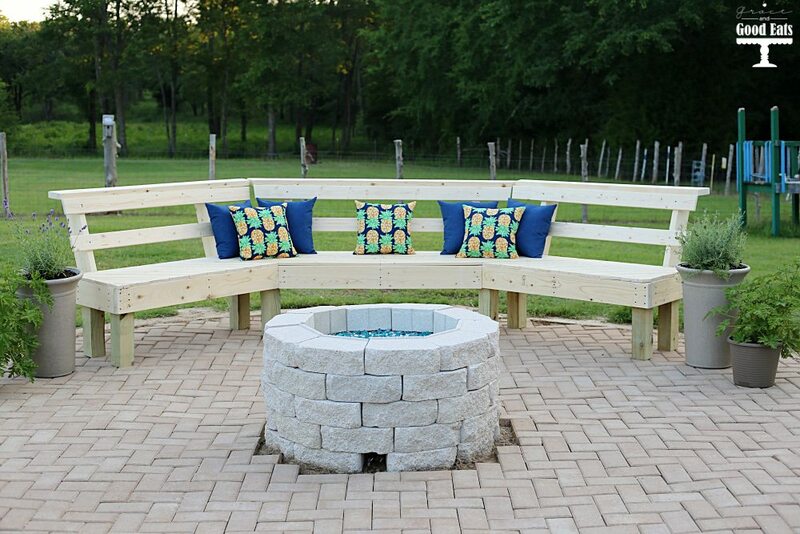 We want to setup our backyard to be the “cool” hangout for our kids and their friends as they get older. As we continue to add on we try to keep in mind how it will grow with them. Right now they both love the swing set, but as they get to be teenagers maybe that area will become a sand volleyball pit instead. Keep short term and long goals in mind when planning out your backyard space. 5. Stock up on S’mores ingredients. 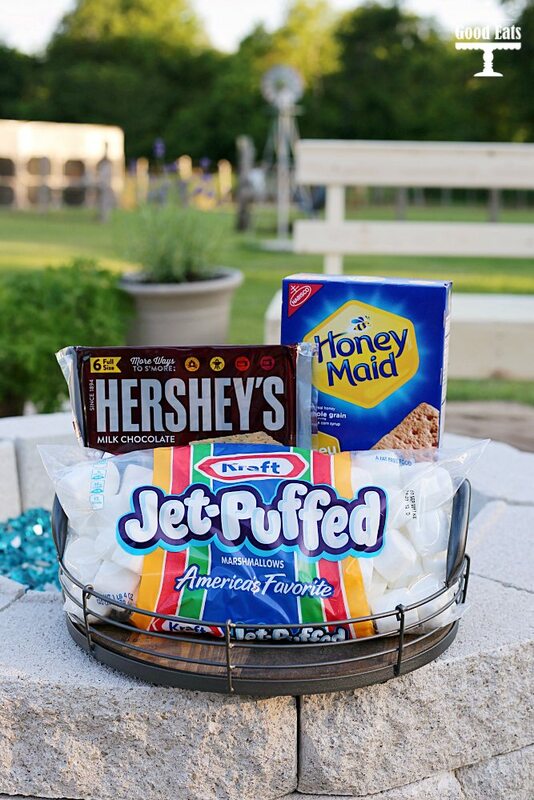 Even before building the fire pit, JET-PUFFED Marshmallows, HONEY MAID Grahams, HERSHEY’S Milk Chocolate are always something I try to keep on hand. Sometimes when James grills chicken or steaks on the grill outside he will surprise the girls with a roasted marshmallow. S’mores are such an easy-to-make treat that always makes me think of summer. 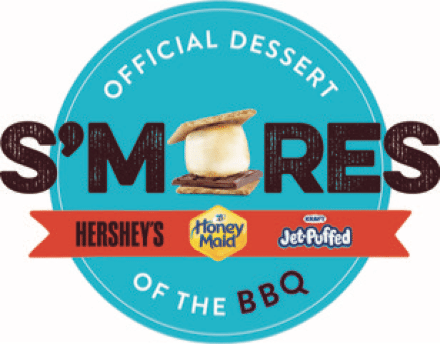 The nostalgia and the delicious taste of gooey S’mores just can’t be beat! We have a small firepit in our backyard and we love it! My daughter likes to have her friends over to hang out and chat around the fire. 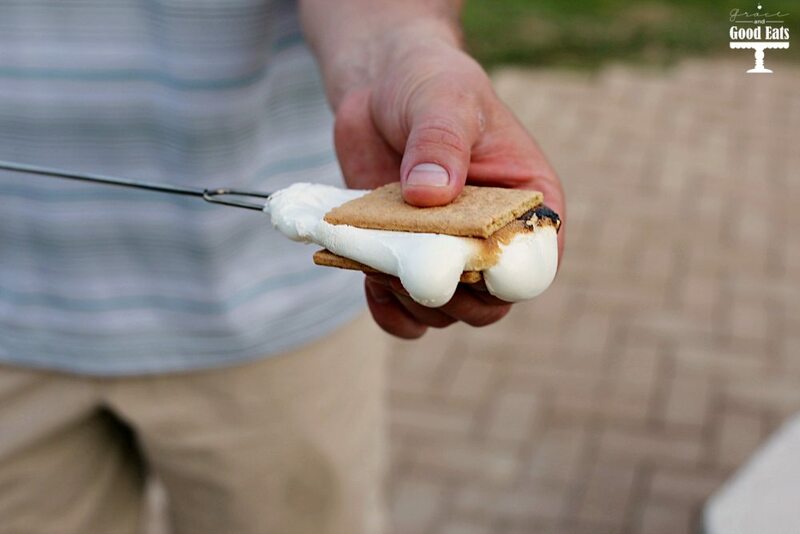 Of course, S’mores are the best way to make things perfect!